Traditionally, the living room has been a formal space reserved exclusively for adults. Many of us remember our grandparents’ living rooms as a forbidden zone for children: Sofas and armchairs enveloped in clear plastic, porcelain collectibles arranged strategically on the coffee table, crystal lamps with translucent silk shades resting on delicate end tables. These rooms often remained empty — even as the rest of the house bustled with life. 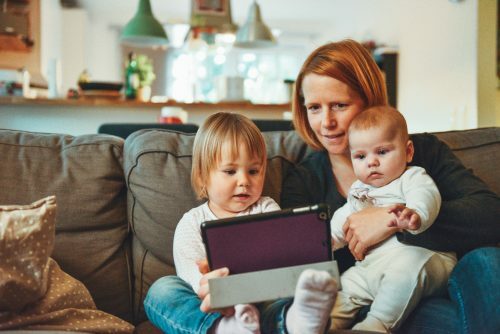 Today, many parents who want to make the most of their square footage feel like they have to make a choice: Great design, or useful functionality? Luckily, you don’t have to sacrifice a sophisticated aesthetic to create a space the whole family can use and enjoy. One of the easiest ways to create a family-friendly living room with a sophisticated vibe is to stick to a cohesive color scheme. For a timeless look, go with deep neutrals. Rich tans, beiges, grays, and taupes are all good options to hide stains. Plus, they serve as fool-proof foundations for nearly any accent color. Choose these hues for the biggest pieces in the room, including furniture, walls and the floor. Subtle patterns on sofas, chairs, and rugs create visual interest and hide wear and tear. Then, select one or two accent colors to infuse life and playfulness into the space. Burnt oranges, deep reds, or mustard yellow hues add energy and pizazz. Muted shades of blues and green create a sense of serenity. Mix and match colors and patterns for a whimsical, easy-going appeal. As you begin to decorate, think about how your family will use the space. Consider creating dedicated zones within the room. Define an area for lounging, snuggling, watching movies, and reading. Elsewhere, a table and chairs tucked into a corner becomes a hub for homework assignments or snack-time. And don’t forget to factor in your own workspace. A single area can also serve multiple purposes. If you choose a sleeper sofa or sectional, the seating area can become a bonus sleeping space for overnight guests. That table and chairs in the corner? Perfect as an appetizer station, or impromptu bar during evening dinner parties with adult friends. Once you’ve planned how you will use the space, think about traffic flow and safety. A good rule of thumb is to allow at least three feet of space for a walkway or path. Experiment with different layouts until you find one that works for your family. Additionally, many online retailers have free room-layout planning programs on their websites — no graph paper needed. For families with small children, consider substituting a coffee table with an upholstered ottoman or leather pouf. Not only do these pieces minimize potential bumps and bruises while little ones are learning to walk, but they can also serve as additional seating for guests. 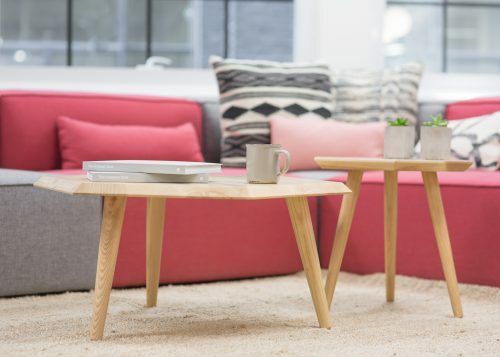 Round wood coffee tables and side tables are also good options. They reduce sharp corners and fit easily within multiple seating arrangements. Consider furniture on casters, too. Accent chairs, sideboards, end tables and ottomans on wheels are easy to move around. Bonus: They give kids plenty of space for fort construction, gymnastics competitions, pillow fights, and sleepovers. When it comes to living room furniture that is both durable and stylish, today’s parents have a wide variety of options at their disposal. If you’re shopping for a new sofa or sectional, one of the first choices you will make has to do with material. Leather is a great choice for families, given its long-wearing durability, ease of cleaning and timeless style. 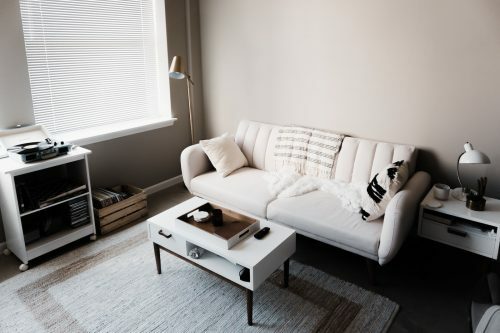 For those who prefer upholstered furniture, there are nearly endless patterns, colors and textures to choose from in fabrics that are durable, stain-resistant and easy to clean. Keep in mind that darker colors will do a better job of hiding stains, whether from a spilled glass of red wine or an upended bowl of chocolate ice cream. 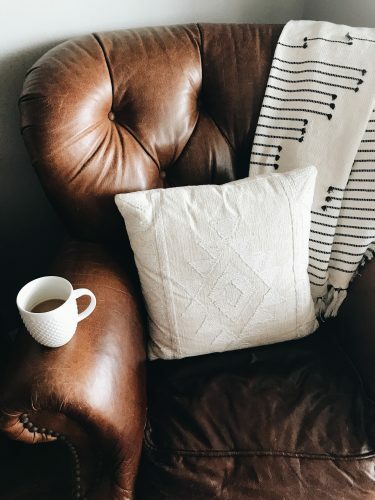 Slipcovered sofas, chaises and chairs are perfect for family spaces — just be sure to check with the slipcover manufacturer that the cover can be removed and machine-washed. Thanks to advances in modern fabrics and treatments, indoor-outdoor furniture pieces are just as stylish and comfortable as their indoor-only counterparts. Plus, they’re treated to be especially long-wearing and stain-resistant. Not in the market for a new living room set? Consider wrapping the seat cushions of existing furniture with a graphic quilt or machine-washable upholstery fabric that fits within the color scheme of the room. You could have a fitted cover made for the cushions (sew one yourself if you’re handy with a sewing machine). Or simply tuck the fabric in and around the seat cushions for a quick, easy update. In family spaces, one of the most important hallmarks of style and function is plenty of storage. Well-planned storage helps you make the most of your room so that toys, games, and other childhood accoutrements can live in the space… without permanently residing all over the floor. Bins and baskets allow easy access so kids can help with cleanup and organization. Woven seagrass baskets add texture to the room. They are durable and blend seamlessly with nearly any decor scheme. Stack them on low open shelving, on the floor next to chairs, underneath console tables, or tucked away inside armoires and media stands. Round or rectangular canvas baskets are also great options since they are available in nearly any color. Choose a light beige to blend in with existing decor, or opt for some in your chosen accent color for visual interest. 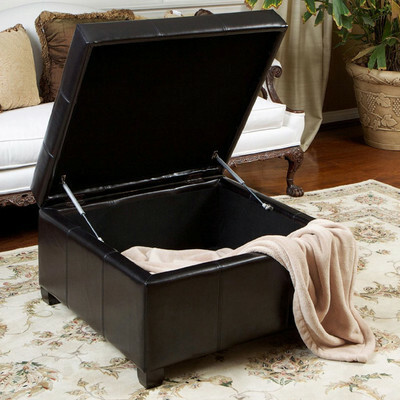 Look for furniture with built-in storage as well. Ottomans, bookcases, media stands, side tables and even sofas feature convenient storage compartments for stuffed animals, coloring books, electronics, blankets, pillows and more. For living rooms with a television, consider adding an armoire with doors. This provides additional storage space and allows you to create a focal point in the room other than the screen. Storage furniture not enough? Schedule a MakeSpace pickup, and have all of your extras safely stored for you until you’re ready to have them delivered back again. 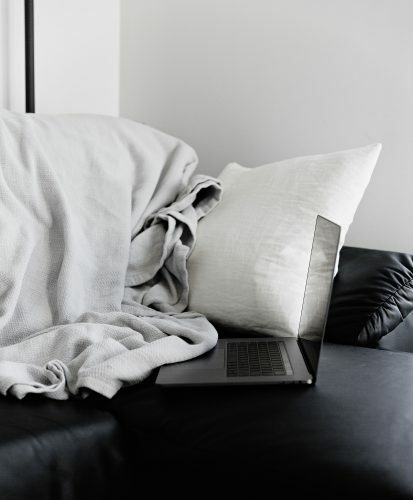 Throw pillows with bright colors or graphic patterns add a touch of playfulness and whimsy, while blankets bring even more warmth and texture. Use lighter-weight fabrics during spring and summer months. Layer on richer textures, such as washable velvet, during colder weather. Want to add a rug to the space? Wool or polyester blends do well in high-traffic areas, since they’re durable and easy to clean. Modern, indoor-outdoor rugs are also great options. For smaller spaces, look for machine washable rugs. Remember that darker colors and intricate patterns do a better job of hiding spills, stains and wear. In kid-friendly spaces, every parent knows to keep breakables out of reach. Reserve the upper levels of bookcases for glass, ceramic and other fragile items, keeping the lower levels open for storage baskets, books and sturdier pieces. Give objects a bit of space on the shelves to create a look that is fresh, not cluttered, and consider positioning a few potted plants for life and texture. While it’s a good idea to avoid selecting delicate decor to display on coffee, end, and console tables, you can choose a statement wall sconce or chandelier to illuminate the space and draw the eye up through the room. One of our favorite ways to create a focal point is to create a gallery wall. Collect favorite prints, paintings, family photos and kids’ artwork. Use frames of the same material to pull the collection together. Keep the look fresh by swapping out kids’ paintings or drawings as they create them. Want to rotate your picks? Many frames allow for multiple pieces of paper to be stored in the frame itself. Create a space that you can live in and enjoy every day. Kids don’t stay little forever. Choose durable, easy-to-clean pieces that you love, and get ready to have fun with your family. Laura Love Bardell writes for Crate and Barrel, where she creates inspirational, design-savvy content. In her spare time, she enjoys triathlon training and spending time with her pets and family.